Here are a few galleries of images from the club. Some photos of our menu items to get your appetite fired up! Here are some videos from the club. 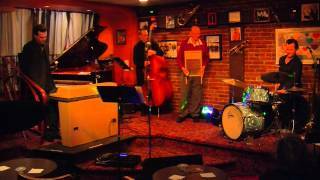 Al Pease Quartet: With Tom Vickery Piano, Rob Johnson Bass, Matt Pease Drums. The beautiful sounds of Clarinet and Saxaphone's generated by the Great Al Pease. 8pm doors at 6pm $15/10 at the door only.